The issue is a good reminder of what we all should keep in mind when using the internet: NOTHING IS TRULY PRIVATE! With developers racing to make information sharing easier and faster, that reminder is more important than ever. I heard an off the cuff stat the other day that the quantity of information that Google collects in two days represents more than the total information amassed from the beginning of recorded time through 2004 (or something very close to that). Whether this is true or not, the concept illustrates the overwhelming volume of information that we put ‘out there’ on a daily basis. And social media tools make it ever easier for us to share information. For most of us, the answer to ‘what are you doing now?’ is not that revealing, nor dangerous. But combine all the information that you’ve ever shared online (privately or otherwise), run it through the right filters, and Facebook potentially knows our name, places we visit, who our friends are, where we live, how old we are, what foods we like, where we go on vacation, and more. The obvious use for this information is marketing, which is not all bad. If Facebook must serve me ads, better to put ads in front of me that I might find interesting. But as WikiLeaks demonstrates, not everything that should be confidential is actually safe from the hands of those who could do you harm. There are bad guys out there, and one doesn’t even have to be a hacker to put together a pretty complete profile of a casual social media user. Using the most common social media tools, people readily reveal their work places, home towns, activities, locations, and more. Much of that information is offered up just because a particular application asked us. 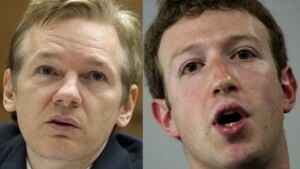 This entry was posted in News and tagged facebook, privacy, wikileaks by Brett Manges. Bookmark the permalink.